^ Nanjaraj Urs, Ankanahalli N.; Hu, Yiling; Li, Pengwei; Yuchi, Zhiguang; Chen, Yihua; Zhang, Yan. 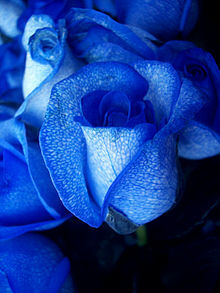 Cloning and Expression of a Nonribosomal Peptide Synthetase to Generate Blue Rose. ACS Synthetic Biology. 2018-09-18. doi:10.1021/acssynbio.8b00187.